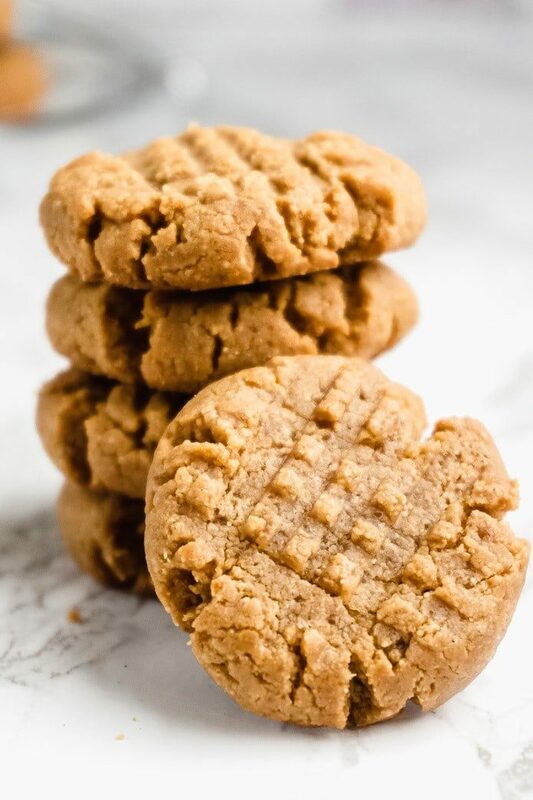 These 3 Ingredient Keto Peanut Butter Cookies are probably the easiest, softest, and most delicious keto cookies you can make. And yes, they only require 3 ingredients. 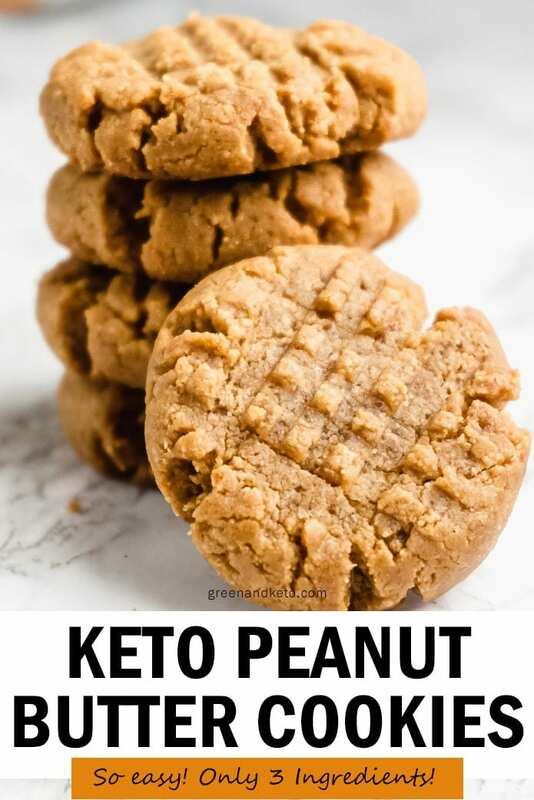 Try this simple recipe for the best keto peanut butter cookies! These keto cookies are soft, chewy, and perfectly sweet. Plus, they are naturally flourless and gluten free! I love this recipe because it is so quick and easy — it can be made in one bowl by hand. You don’t even need a stand mixer — you can use a simple wooden spoon and a little elbow grease. 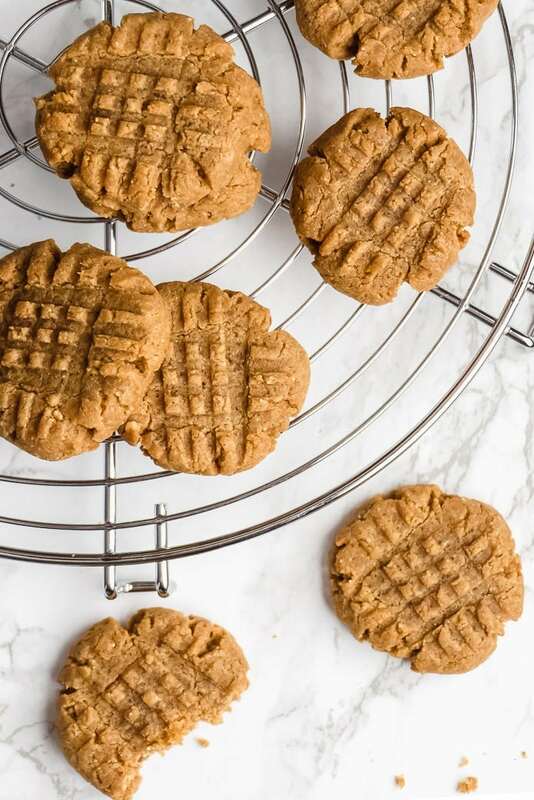 These keto peanut butter cookies only require 3 ingredients: peanut butter, keto-friendly sweetener, and an egg. 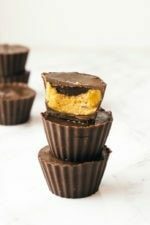 Depending on the brand of keto peanut butter you have, you might also like to add some salt and a dash of vanilla extract. With this recipe, you’re only 20 minutes away from a tasty low-carb dessert! These keto cookies are made with just three ingredients. And the good news is that you probably already have all three in your kitchen: peanut butter, sweetener, and an egg. 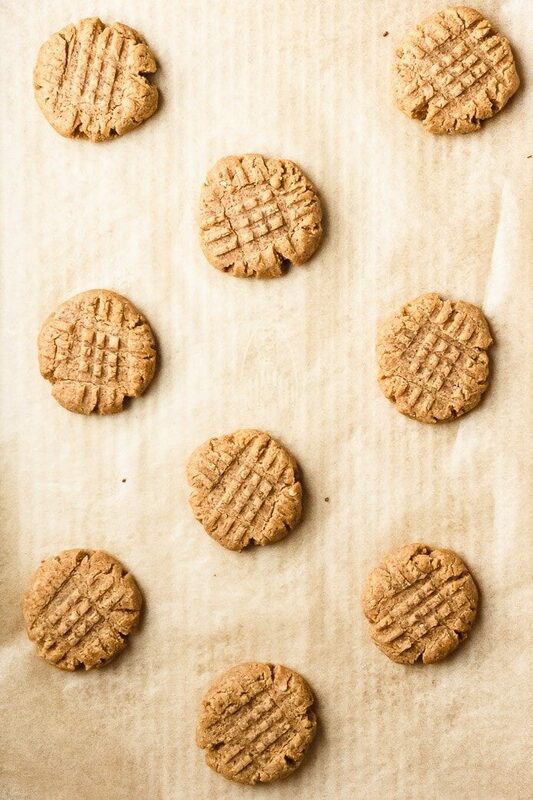 To make these peanut butter cookies, first combine the peanut butter, sweetener and egg in a large mixing bowl. If your peanut butter is unsalted, you might like to add 1/2 teaspoon of salt to the mix. And, if you want an extra bit of flavor, feel free to add a dash of vanilla extract. Then, stir the ingredients with a sturdy whisk or wooden spoon until they are smooth and well-combined. I like to mix all the ingredients by hand. But, if you prefer, you can use a stand mixer with a paddle attachment. I like to portion the dough into 1-2 tablespoon size balls — about 1 inch in size. Roll balls with your hands, and then place them on a prepared baking sheet. With this dough, it’s important to flatten the cookies a bit so that they bake evenly. To flatten the cookies, use a fork to press a criss-cross pattern into each dough ball. Bake them in the oven at 350° F for 10-12 minutes. Remove them from the oven and allow them to cool for two minutes. Then, transfer to a cooling rack to cool completely. There are many types of low-carb sweeteners that you can choose to use in your keto cookie recipes. 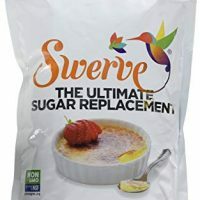 My go-to sweetener brand is Swerve granulated sweetener. I like that it is a one-to-one swap for sugar. It also comes in a brown sugar version — which would be delicious in this type of recipe. If you choose another type of sweetener — like Pyure or Allulose — check the back of the bag to learn how to substitute it for sugar in a recipe. With a sweetener like Pyure, which is twice as sweet as sugar, you’ll want to use less. 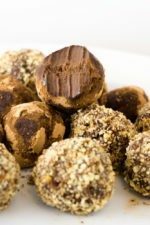 With a sweetener like allulose, which is 70% as sweet as sugar, you’ll want to use more than the amount I call for in this recipe. And to make things even more complicated, many keto dieters find that their sensitivity to sweetness changes the longer they follow a keto eating plan. So, if you’re not sure, here’s what I recommend: Mix the peanut butter and the sweetener together first. Give it a taste (before you add the raw egg!) and see if you want to add more sweetener. Then, continue with the rest of the recipe. 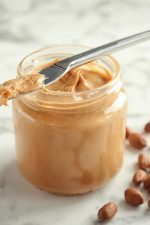 You may be wondering what brand of peanut butter is the best one to buy on the keto diet. Here are some tips. Most major brands of peanut butter –like Jif and Skippy — contain added sugars and hydrogenated oils. This isn’t necessarily bad — but it will increase the carb count of this recipe. However, there are several high-quality peanut butters available on the market that are perfect for a healthy, keto lifestyle. 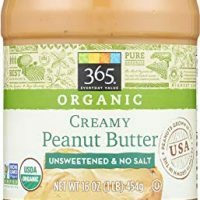 When you’re shopping in the grocery store for keto ingredients, your best bet is to look for a natural peanut butter — the kind with oil on top that you have to stir at first. When you read the label, the ingredients should be only peanuts and salt. Make sure it does not contain any added sugars, palm oils and other hydrogenated oils. 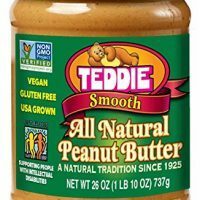 Nutrition: A typical serving of sugar-free peanut butter (like 365 Whole Foods brand) is two tablespoons, and contains about 200 calories. It has 17 grams of fat, 7 grams of carbs, 4 grams of net carbs, 3 grams of fiber and 8 grams of protein. Here are some of my favorite brands that are available online. 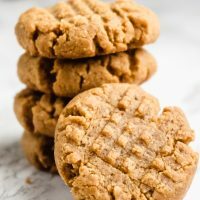 Whether you use regular peanut butter or sugar-free peanut butter, these cookies will still turn out delicious. But if you’re watching your carbs, be sure to calculate the nutrition facts with your specific brand of peanut butter for accurate results. These cookies will last up to 5 days stored in an airtight container at room temperature. 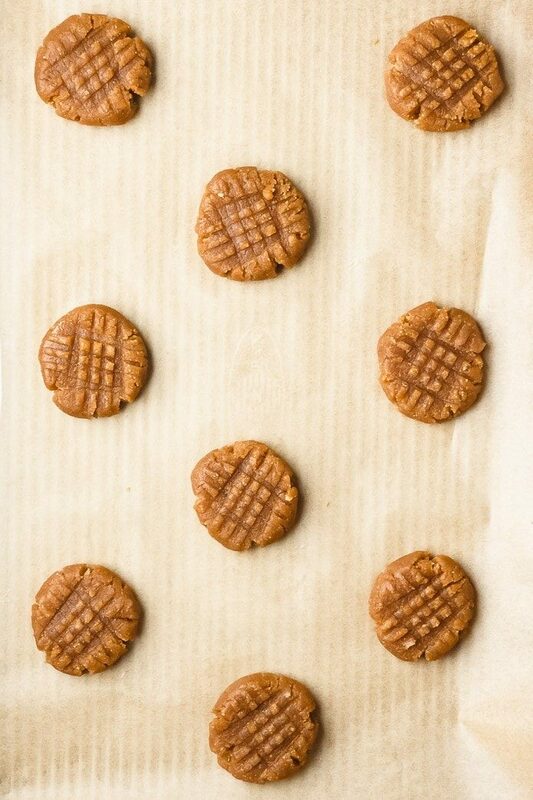 You can even freeze these peanut butter cookies to save some for later. If you want to freeze these keto cookies, here are some tips. Then, transfer them to an airtight container or zip-top freezer bag and store them for up to 3 months. When ready to serve, thaw them overnight in the refrigerator or on the counter. 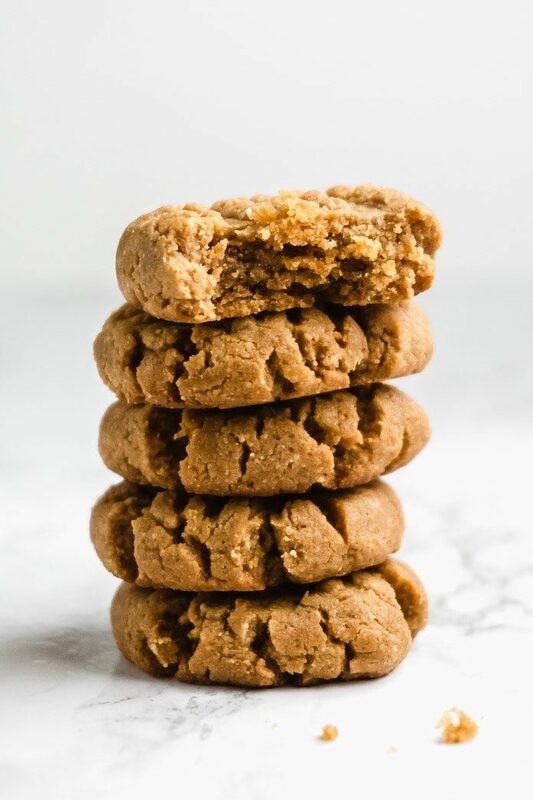 These 3 Ingredient Keto Peanut Butter Cookies are probably the easiest, softest, and most delicious keto cookies you can make. Preheat oven to 350ºF. Prepare a cookie sheet with non-stick spray or parchment paper. In a large bowl, mix together the peanut butter, sweetener, and egg. Optionally, add a pinch of salt and a tsp of vanilla. Scoop out a tablespoon of dough and roll it into a ball. Place the cookie balls onto the cookie sheet. To help the cookies cook more evenly, flatten the cookie balls by pressing a fork down on top of them in a criss-cross pattern. Bake for 10 minutes, or until the cookies are just golden brown. Remove from baking sheet and cool before eating. Depending on the brand of peanut butter you buy (salted or unsalted) you may want to add salt to this recipe. Depending on the brand of sweetener you use, you may want to add more or less to this recipe. Start with 1/2 cup, give it a taste test, and adjust from there. I think 1/2 of erythritol sweetener is great, but I've also tested the recipe with up to 2/3 cup of erythritol sweetener. Nutrition information is provided as a courtesy, and it isn’t always accurate. This data was provided and calculated by My Fitness Pal. Be sure to calculate nutrition facts with your specific brands of ingredients. 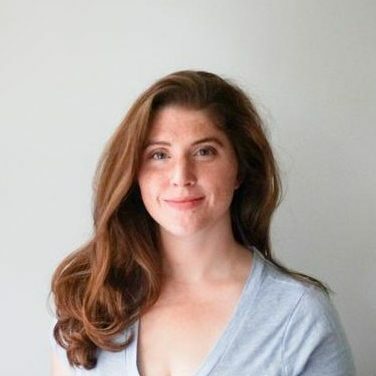 Don’t forget to pin this to your keto recipe board on Pinterest. And follow me on Pinterest for more great recipe ideas.